Honorary Brit, Simon Pavey dug deep on the hardest stage of the Dakar to secure an impressive 46th place finish on the arduous 506KM sixth stage. His strong result moves the BMW man up to 45th overall in the standings. “It was a really tough day today. I rode about 220km without a front brake because the front hose broke off due to the extremely rough conditions. It was incredibly bumpy and I am absolutely hanging right now. “Today was a proper rally day and navigation was critical. 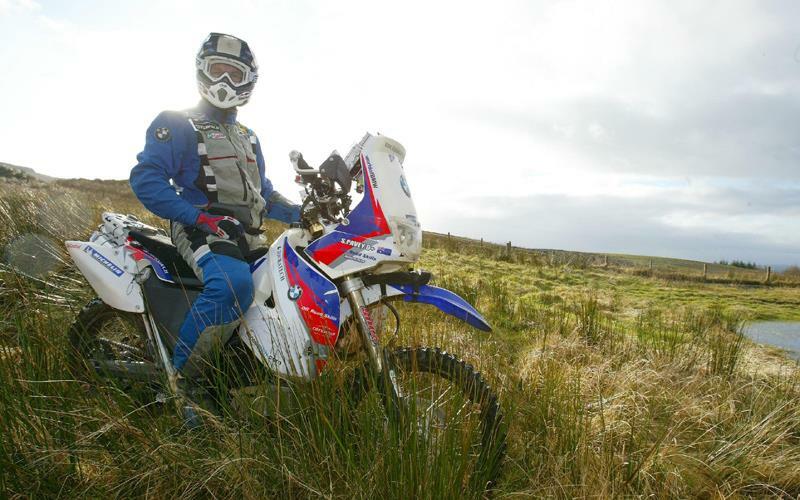 I found myself riding in circles during the day and there was also some tricky off piste navigation. Then there were sand dunes approximately 20km from the end of the Special Stage. “Mick Extance came up to me afterwards and asked how we should be riding the dunes. The crests of the dunes were really soft and we were riding up the shallow side and down the steep side. "There were also miles with vegetation clumps everywhere. It makes it really difficult to get momentum. You just couldn’t get a good run and the sand was really soft. "There were a few times that I had to have another go at getting over the dunes and I was feeling truly beat up even before I even arrived at the dunes. “The terrain was so rough today. There were a few dirt road sections that I was able to get a breather, but they were few and far between. I spent most of the day in 2nd and 3rd gear and it was a long day… about 8.5 hours riding on the Special. “Once again I have been astounded by the locals coming out to watch us. There was an amazing atmosphere as we were coming through the dunes at the end. "There were a load of guys on enduro bikes and they were pointing the lines we should be taking through the sand.